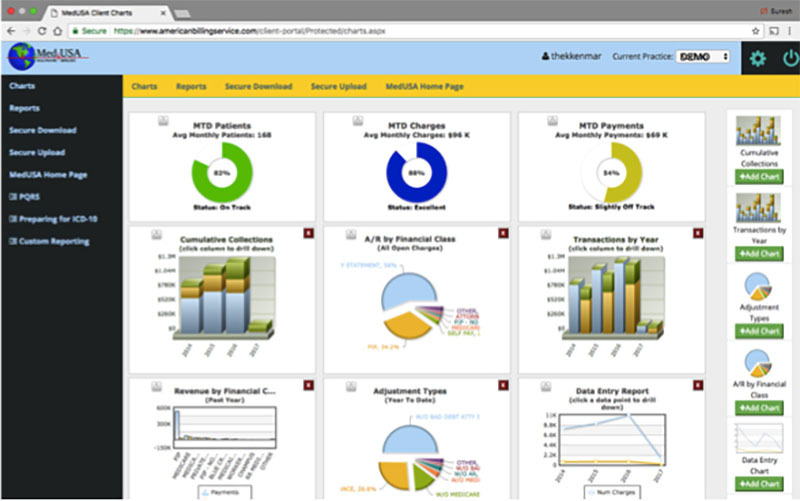 MedUSA has developed state-of the-art portal technology for our clients. Through our secure portal, we provide complete transparency and real time access to our client on their practice’s financial health. 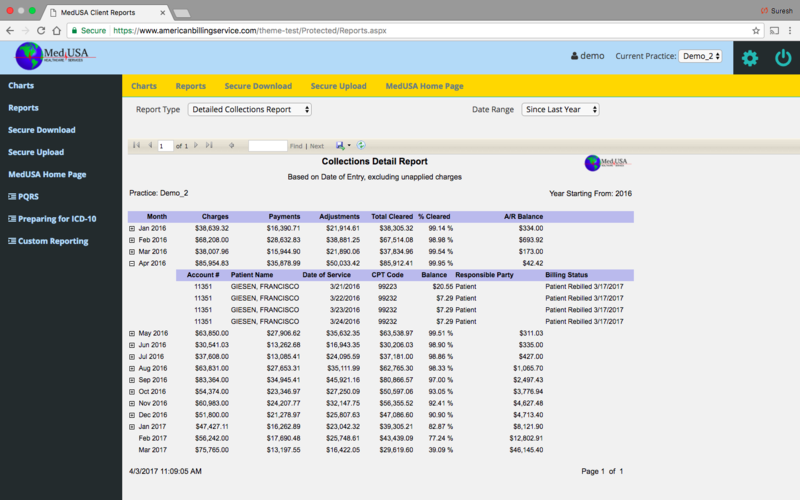 Dashboards, graphs and charts not only gives real time access to your practices finances in easy to view formats, we have built in visualization that higlights of charges and patments are on track based on prior performance! Real-time access to your practice′s financial information from our Portal and Proprietary technology. Run your reports on demand - From anywhere anytime with your Secure Login!